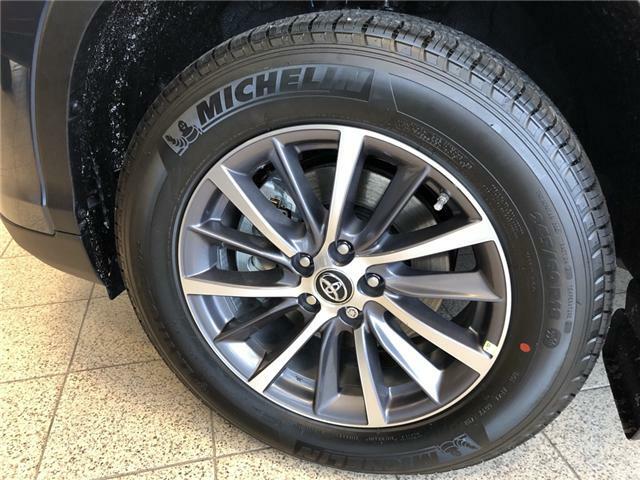 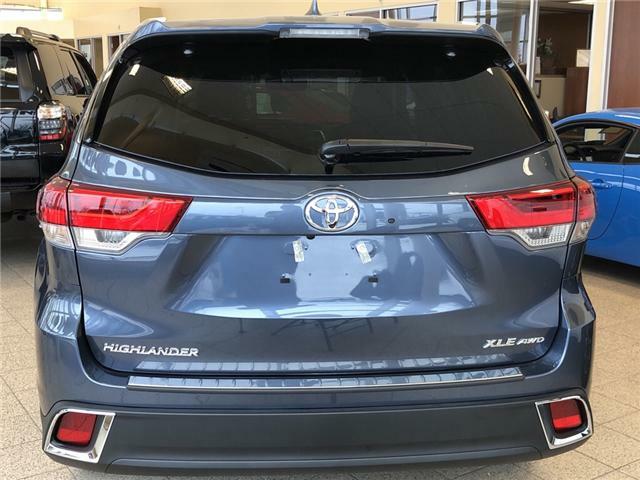 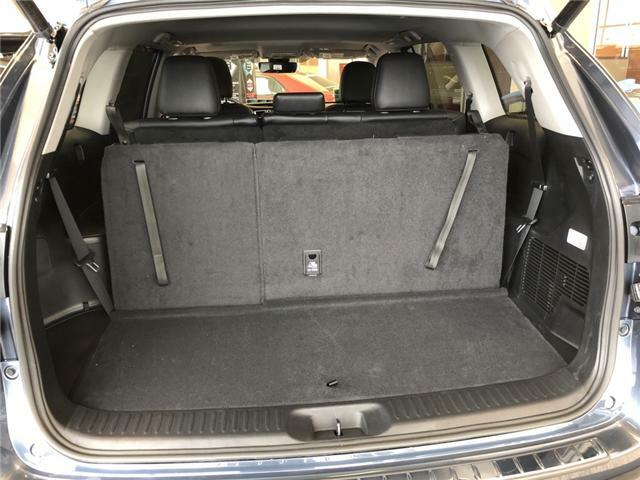 Take a look at this 2019 Toyota Highlander XLE. 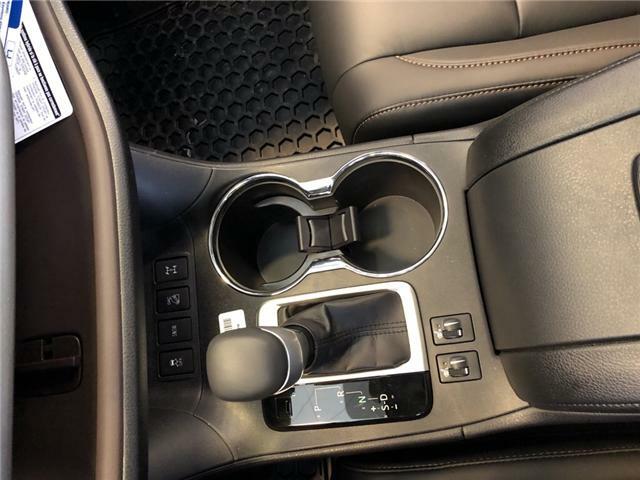 This SUV has an automatic transmission and is powered by a 3.5L V6 24V PDI DOHC engine. 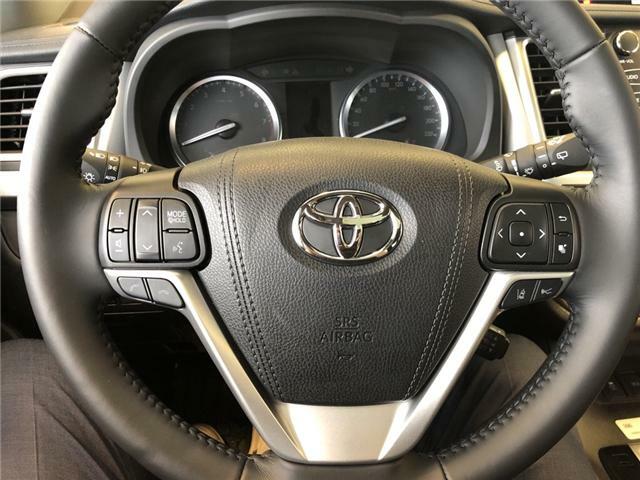 Motivated by that effortless motor it gets 12.1 L/100 km in the city and 9.0 L/100 km out on the highway according to Transport Canada. 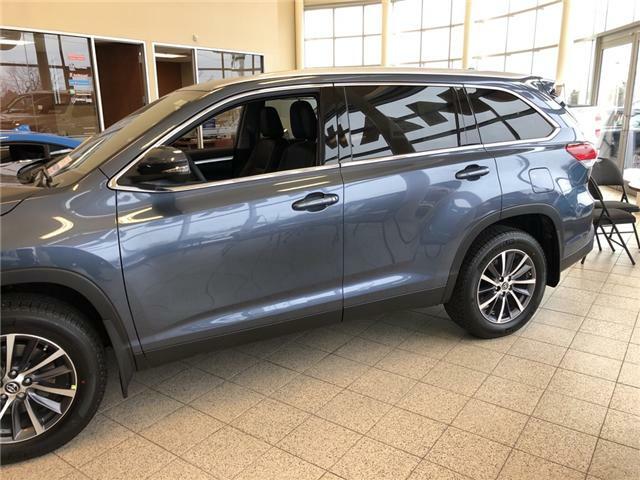 Our Highlander's trim level is XLE AWD. 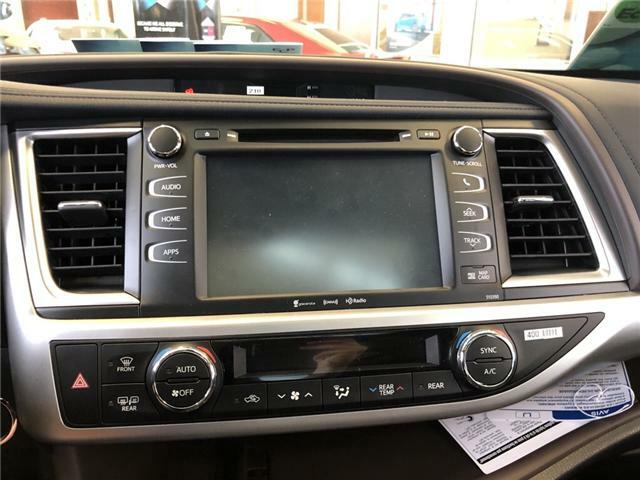 This Toyota Highlander XLE AWD comes fully loaded with numerous premium features and options such as automatic full time all wheel drive, a power sunroof, front fog lamps, a power tailgate, LED brake lights, fully automatic halogen headlamps, a 6 speaker stereo with an 8 inch display, EasySpeak Bluetooth connectivity, SIRI eyes free capabilities, heated front captains seats with power lumbar and power adjustment, manual sun blinds on the third row windows, valet function, proximity keyless entry with push button start, a leather and metal look steering wheel, leather seat trim, a universal garage door transmitter, distance pacing cruise control, manual air conditioning with separate controls for the rear, metal look interior panel inserts, Toyota Safety Sense tech, blind spot monitoring, rear cross traffic alert, lane departure alert, lane keeping assist, a rear view camera and much more. 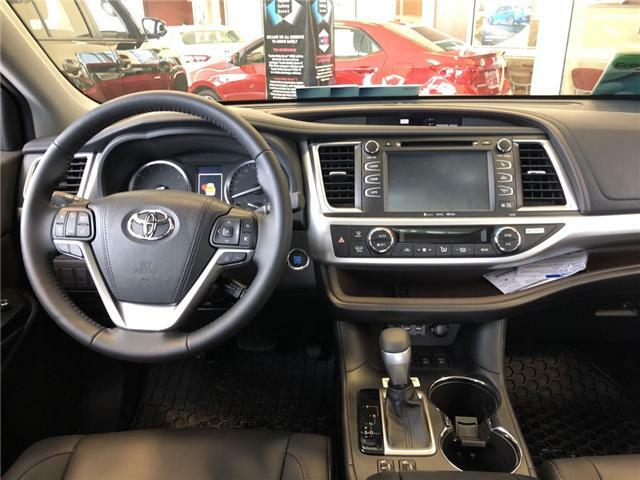 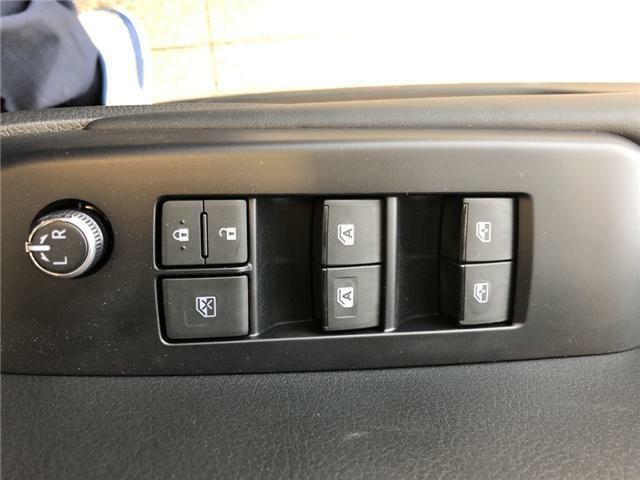 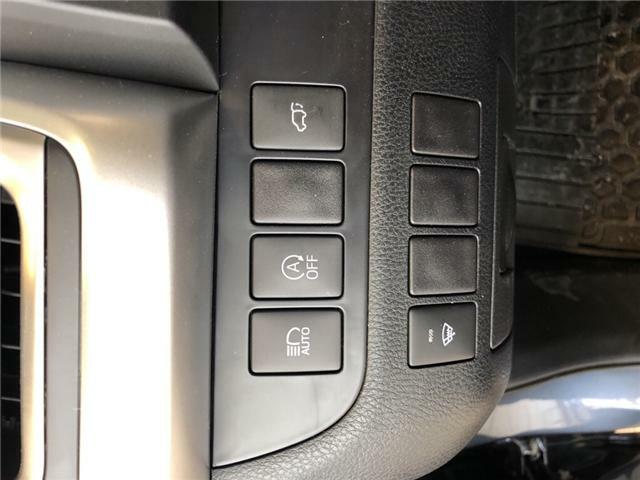 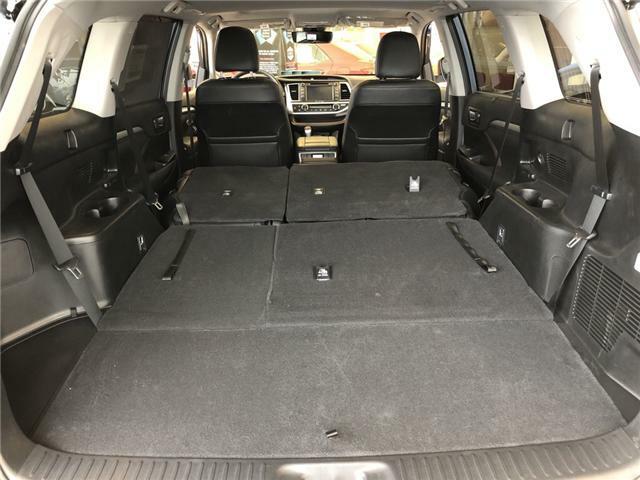 This vehicle has been upgraded with the following features: Sunroof, Leather Seats, Heated Seats, Rear View Camera, Bluetooth, Blind Spot Detection, Toyota Safety Sense. 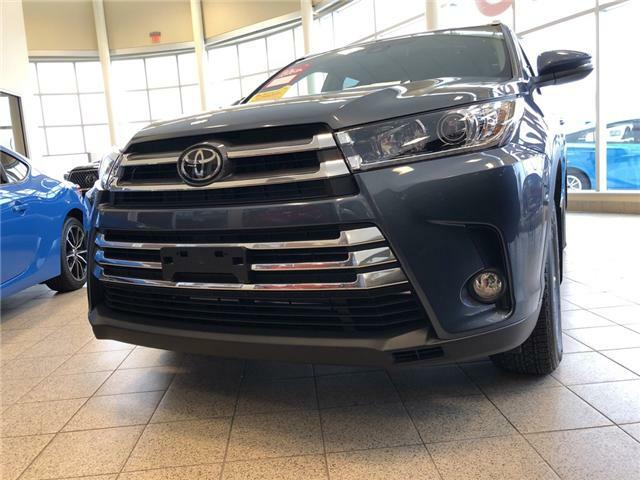 If you are interested in this powerful SUV then be sure to call us at (905)-642-6688 to book a test drive or come check out this SUV.